When her hand-me-down shoes don't fit any more, it is time for Ella Mae to get new ones. 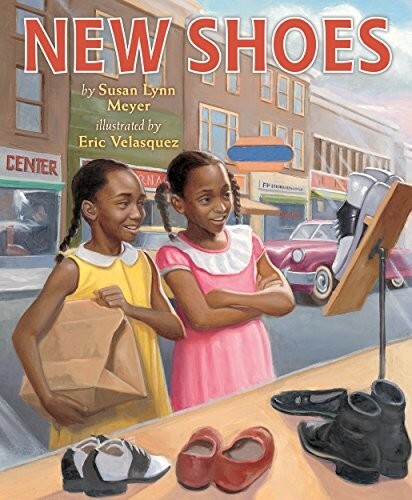 She is ecstatic, but when she and her mother arrive at Mr. Johnson's shoe store, her happiness quickly turns to dejection: Ella Mae is unable to try on the shoes because of her skin color. Determined to fight back, Ella Mae and her friend Charlotte work tirelessly to collect and restore old shoes, wiping, washing, and polishing them to perfection. 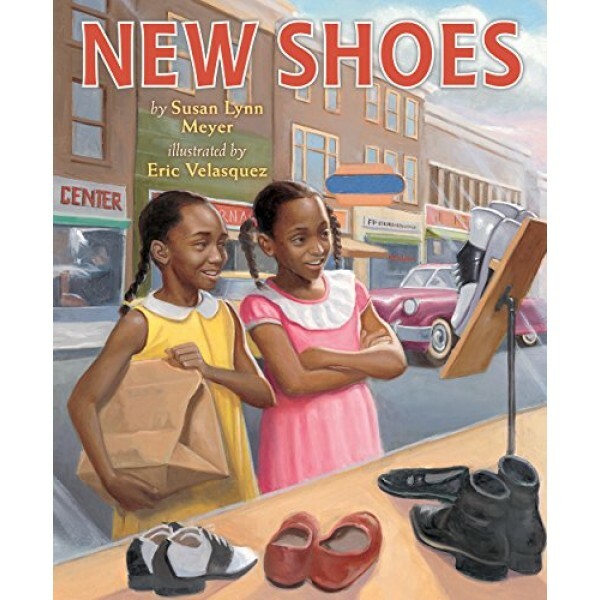 The girls then have their very own shoe sale, giving the other African American members of their community a place to buy shoes where they can be treated fairly and "try on all the shoes they want."